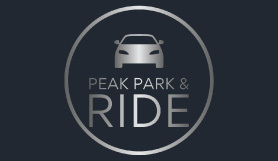 Park and Ride service operated by My Travel Essentials Ltd has created the ultimate way to park at Stansted Airport at affordable rates with a friendly and efficient service. Each customer will be required to pay £1.00 each way bus transfer due to be paid locally on arrival or departure. Service is not suitable for children that require car seats to travel. If your flight is delayed do not worry, we will wait for you or up grade you to a meet & greet on your return. This information will be sent to you via Text Message with simple instructions. Please call Peak twenty minutes prior to arrival. Only after you are clear of customs, please call to advise that you are ready for collection, then proceed to the forecourt, Zone D and stand next to the sign (D) – In front of the Terminal Building where we would have dropped you off. Meeting point is subject to change on the day by Stansted Airport – you will be informed if this is the case when you call. Warish Hall Industrial Estate, Warish Hall Road, Takeley, Bishop's Stortford CM18 6PF. Satellite navigation with this post code will bring you to our door! CM18 6PF. Directions Travelling North from London - Please exit the M11 at Junction 8a and follow the below directions. Follow the road for just over 1 mile and take the Stansted Airport exit and branch left. At Bassingbourn roundabout take the 2nd exit onto Thremhall Avenue. At Coopers End Roundabout take the fourth exit this is after the Short Stay Car Parks. At the mini roundabout turn left, travel exactly 0.7 of a mile and on your right is Waltham Hall Industrial Estate, turn right and drive to the bottom of the estate, we are the unit on the left just before the bus station, please park in the nominated parking bays provided on the right hand side clearly marked so we can keep the road clear at all times. Take the A120 exit to Stansted Airport. At Priory Wood Roundabout take the 3rd exit, merge onto the A120 and branch left. At Bassingbourn roundabout take the 2nd exit onto Thremhall Avenue. At Coopers End Roundabout take the fourth exit this is after the Short Stay Car Parks. At the mini roundabout turn left, travel exactly 0.7 of a mile and on your right is Waltham Hall Industrial Estate, turn right and drive to the bottom of the estate, we are the unit on the left just before the bus station, please park in the nominated parking bays provided on the right hand side clearly marked so we can keep the road clear at all times.